The Tomsk scientists extract the pigments for the nano-powder from ferrous waste products that are used to purify underground water. The Tomsk region has about 600 tons of them. Photo: Preparing fingerprints for lifting. Scientists in Siberia are developing a nano-powder capable of obtaining fingerprints on surfaces that are difficult for dactyloscopy, such as aluminum foil, glossy paper and polyethylene. Chemists at the Tomsk Polytechnic University have developed an innovative powder that can help catch criminals. When the powder was tested in 2010 forensic experts were able to gather fingerprints in 99 out of 100 cases. The prints came out more distinct, vivid and had more contrast than prints gathered with other devices. Scientists had plans to produce the powder, but for some reason (the university collaborators preferred not to comment) they were unable to, and subsequently the project director was replaced. Part of the original breakthrough was then used as the base for the technology that the university's collaborators and students are currently developing. The Tomsk powder-dye for gathering fingerprints is a mix of nanoscale iron oxides. The novelty of this breakthrough is that it is capable of substituting an entire "arsenal" of powders that forensic experts usually use. 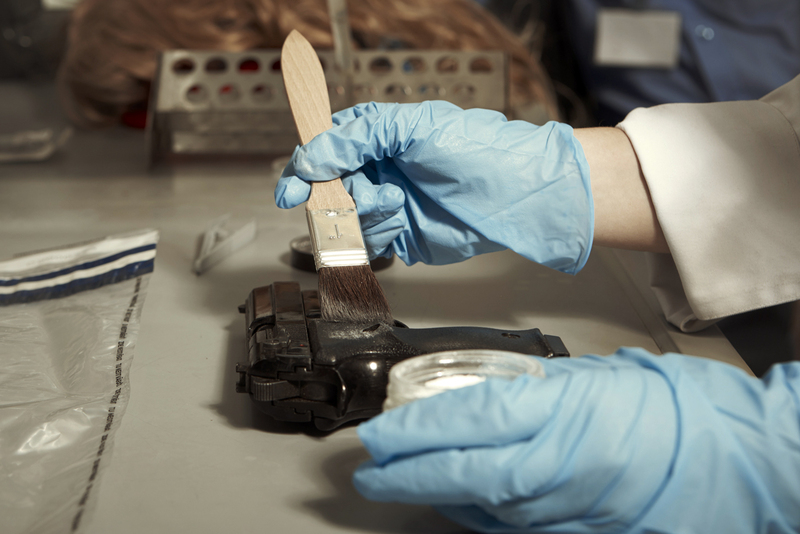 Currently, for each case experts need to select different powders depending on the texture, color and dirt level of the surface and the time when the prints were left. "The trace of a finger remains as a print consisting partly of sweat and skin fat, and this sweat-fat trace is a reliable biometric sign used to identify a person,'' explained the project's scientific director, professor Lyubov Ikonnikova. “Depending on how 'old' the print is, there is either a water or fat part that dominates.” The Tomsk powder is used for gathering both “fresh” and “old” fingerprints, she added. There are many different ways of searching for hidden prints, but they are expensive and can even damage the evidence. One of the methods involves a magnetic powder and magnets, which means that the evidence must be separated into tiny fragments. This expensive method requires much time and a highly skilled forensic expert. Another method treats the surface in advance with poisonous cyanic glue. This is a very complex procedure that must be approved by a judge, because its toxicity can damage items and destroy the evidence. The Tomsk scientists extract the pigments for the nano-powder from ferrous waste products that are used to purify underground water. The Tomsk region has about 600 tons of them. In Russia there are quite a few companies that have been making powders for gathering fingerprints for many years. There are several, for example, in the Kazan and Tula regions. However, the ingredients for making most magnetic powders come from abroad. The Tomsk scientists, however, use domestic raw materials and their own equipment. Currently, scientists want to reduce the powder's cost without worsening quality. At least six more months is needed to finish the research. It is also necessary to better understand if this development will be more effective than other innovational methods of gathering fingerprints.